A brand new, full-color SnarfQuest graphic novel released in 2014! Follow the continuing adventures of Snarf, Telerie, and the rest of the gang in this new work from Larry Elmore. 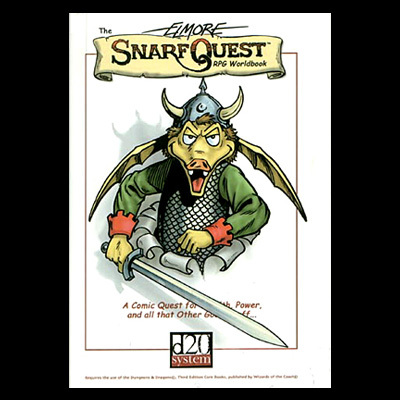 Now you can play with Snarf using this sourcebook for "D20" role-playing game system. 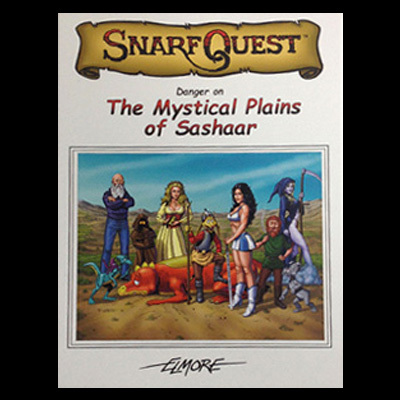 Includes instructions for DMs and a plot summary of Snarf's original adventures. Written by Jamie Chambers with support of Larry Elmore. 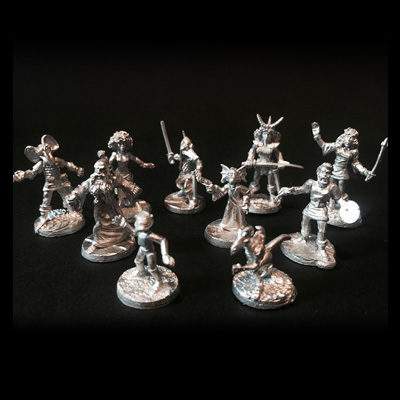 Originally released in the 1990s, this set of 11 minitatures is perfect for tabletop gamers and Snarf fans alike. Set includes Snarf, Telerie in dress, Telerie in battle, Rattendorf, Ethea, Aveeare, Suthaze, Geezel, Lizard + Death Leach, "The Artist", and an easel. You want it all? You got it. 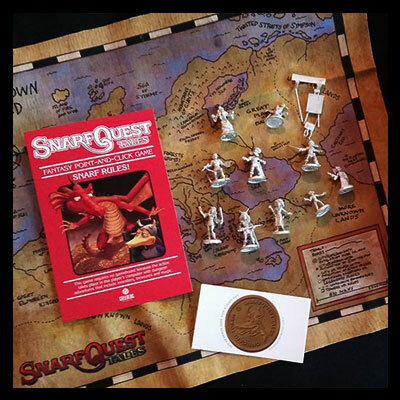 This set includes a SnarfQuest Tales Steam Key, the complete set of 11 miniatures, and a cloth map(!) all in our standard edition Red Box box. Look like a box! 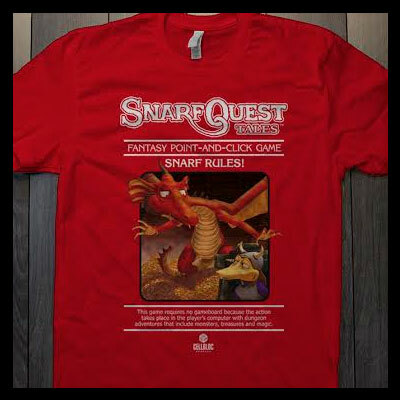 This t-shirt is a prefect reproduction of our "Red Box" homage cover art for SnarfQuest Tales. PAYMENT: PayPal is our merchant provider. Even if you do not have a PayPal account, you can pay via VISA, MASTER CARD, DISCOVER, AMERICAN EXPRESS. SHIPPING METHOD: We will ship via USPS Priority Mail (three items per Flat Rate box) within the United States only. A small handling charge will be added to all shipments. If you would like to order more than 3 items, please contact us for a shipping quote. INTERNATIONAL SHIPPING: Please contact us for a price quote if you would like an item shipped outside of the United States.